The Vigilance and Anti-Corruption Bureau (VACB) will instal biometric attendance system in all 30 offices across the state following a government directive. 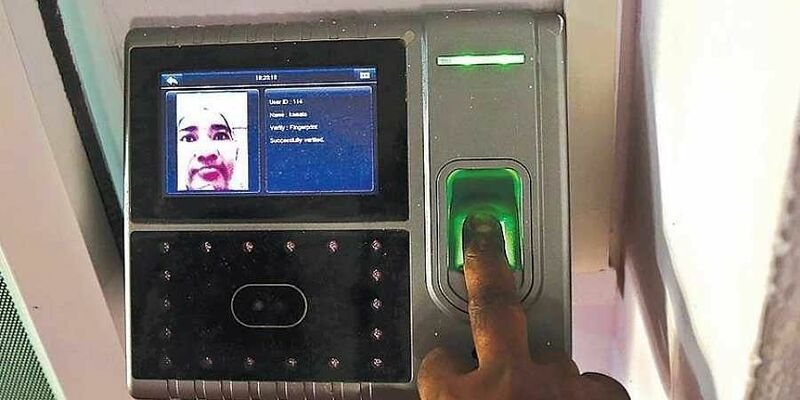 KOCHI: The Vigilance and Anti-Corruption Bureau (VACB) will instal biometric attendance system in all 30 offices across the state following a government directive. The project will be executed by state-owned Keltron for which the government has sanctioned Rs 33.37 lakh. Vigilance director B S Mohammed Yasin said the move was part of the modernisation of the Bureau. Similarly, it will also ensure officials follow the attendance rules. “We have electronic punching system at the Vigilance headquarters. Now, we have decided to install biometric attendance system across all our offices in the state. Unlike the police department, Vigilance follow a fixed office time. However, for the investigation purposes, officers work at the office till night. We will sort out these matters,” he said. At present, attendances are marked in registers maintained at VACB offices. “The attendance registers are often improperly maintained. With the coming of a new digital system, the administration wing at the headquarters can access the daily attendance and ensure all officers are in office on time,” a Vigilance officer said. As part of adopting modern system in investigation and detection of corruption cases, Vigilance offices will be digitalised. Digital archives will be introduced to maintain files and important documents. The Bureau has introduced a cyber wing to examine digital evidence gathered as part of the investigation. The biometric attendance system was first introduced in the state at Secretariat, Thiruvananthapuram. Though the government had announced to introduce biometric attendance system in all its offices, a majority still retain the old system.